Should Celtics have traded for Jimmy Butler or Paul George over Kyrie Irving? On August 22nd the NBA realm was taken by storm when news first broke of Kyrie Irving being traded to the Boston Celtics. 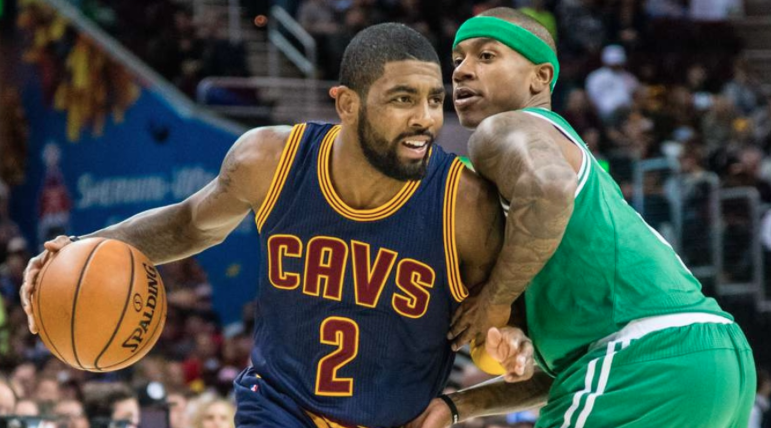 The Cleveland Cavaliers traded the four-time All Star to their Eastern Conference rival for a hefty return of fellow point guard Isaiah Thomas, Jae Crowder, Ante Zizic, and the highly-coveted Brooklyn Nets 2018 unprotected first round pick. Of course, this trade is not yet official as the Cavs are trying to obtain additional assets after further evaluating Thomas' hip. But, for the sake of argument, lets assume the trade goes through as originally agreed upon. There’s been a lot of debate on whether this was the right move for the Celtics. Some people feel strongly that the Celtics gave up way too much and wonder why they didn’t just trade for Paul George or Jimmy Butler instead. While I believe the Celtics did indeed overpay for Kyrie Irving, this trade is more optimal for the team than the alleged deals discussed about George and Butler. Although both aforementioned players were dealt for seemingly below-market value, their respective teams were asking for at least one Nets pick from the Celtics. That’s because everyone and their mothers know that Boston has been sitting on a treasure trove of assets for the pat couple seasons, led by those Brooklyn picks. Jimmy Butler, one of the top two-way players in the league, would certainly look good in Celtic green. But at the time he was traded the Celtics still had Avery Bradley, who has a similar style of play to Butler, albeit to a lesser degree. To be fair, the main reason I prefer the Irving trade over the discussed Butler deal actually has nothing to do with Butler himself. It’s actually because of the how the rest of the pieces fall by having Kyrie instead of Butler. In trading for Kyrie, the Celtics no longer have to make the tough decision of whether or not to re-sign Isaiah Thomas, nor do they need to worry about him returning to 100% health from his hip injury. In shipping off Crowder, young talents Jaylen Brown and Jayson Tatum now seemingly will get more playing time, helping move them along the path of development. Again, this is assuming that the trade goes through, regardless of if the Celtics need to sweeten the pot with another future pick. I certainly hope they call the Cavaliers' bluff and refuse to add additional pieces, but time will tell what happens. So although the Celtics may have overpaid for Irving, compared to what the Cavs might have gotten from other teams, the move still puts the Celtics in the position to be a serious contender both now and in the future.